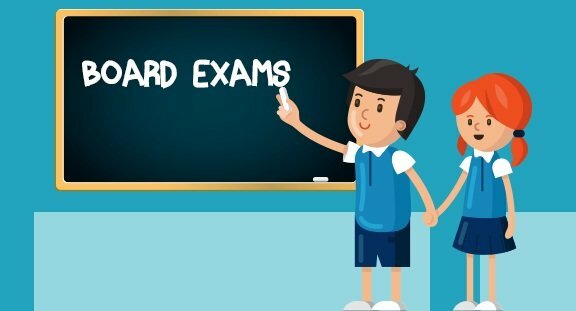 CBSE has rescheduled Class 10 Board exams Hindi to 16th April 2018, Social Science (SST) to 17th April 2018, Mathematics to 18th April 2018. Please note the Dates have been changed only for the 15 year old Indian shooter and not for everyone. Education is developing more and more everyday to overcome the new challenges. Our Indian education system is trying to improve and attain international recognition and as we know Central Board Of School Education have given affiliation to many schools abroad. CBSE governs the teaching pattern for all schools affiliated under it by issuing time to time public Academic circulars on its website cbse.nic.in and all schools follow the same CBSE Syllabus, Examination Rules as is prescribed. To help the students CBSE Board Model Question Papers with Solutions are devised to make understanding of concepts given in textbooks of NCERT and other CBSE books of that subject. CBSE Syllabus is focused on to teach the right way of problem solving in practical life and to make these concepts crystal clear to the students. Also these CBSE Solved Sample Papers will help them in preparation for Board Exams and secure promising marks which will eventually enable them to make a bright career in field they have interest in. The Solutions For NCERT Books contain questions and answers covering important topics and concepts from the NCERT textbooks in PDF for free download and are as per new CBSE Syllabus for session 2018-19. Download for Maths, Biology, Chemistry, Physics, Business Studies, Accountancy, Financial Accounting 1 – 2, Economics, Statistics, English Snapshot, Introducing Sociology, Understanding Sociology, Political Science, Indian Constitution, Psychology, Science, SST, Hindi, Civics, History, Geography, Sanskrit, EVS, Environmental Studies & all subjects NCERT Books in Hindi Medium, Syllabus, Sample Papers, Model Question Papers, NCERT Books, Solutions / Answers in PDF format are available on freehomedelivery.net.